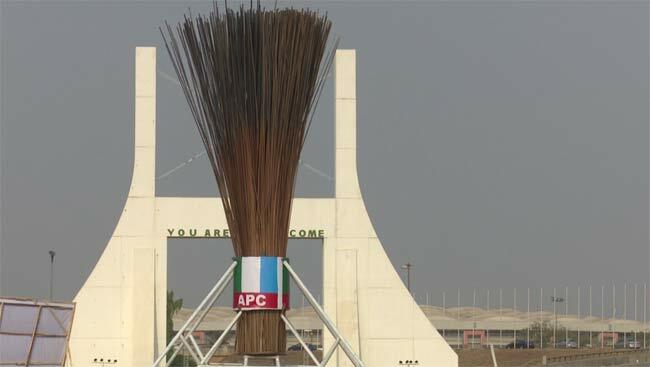 With less than 7 days to the 2019 presidential election scheduled for next week Saturday, Abuja residents woke up yesterday to behold the sight of a gigantic broom which symbolises the ruling All Progressive Congress(APC) at the boundary gate that leads into the seat of power. Nigerians have to this end taken to their twitter handle to drop a comment or two. If only the giant broom could sweep away the giant menace we have in this country. They built their party broom of poverty with government money. Yet they are monitoring campaign spending. This APC government is a menace. Yet they give you ₦10k trader money for your votes…emm sorry to minimize poverty.. The post What Nigerians Are Saying About The Construction Of This Giant Broom At Abuja Is A Must Read .